British human rights activists Krishna Upadhyaya, 52, and Gundev Ghimire, 36, are missing in Qatar. The two men went to the country on behalf of The Glabal Network for Rights and Development (GNRD) to investigate the country’s treatment of migrant workers for the 2022 World Cup. Ghimire’s wife Bandana has accused Qatar of torturing the missing men. Mrs Ghimire told Sky News the last time she was in contact with her husband was Sunday when he told her he would be arriving in England the following day. She said she feared the authorities there may torture the two men. GNRD told the men to return after they said police followed them all over the country. Uniformed and undercover authorities stood extremely close to the men whenever they were on their phones. They checked out of their hotel, but did not make their plane. The last contact GNRD had with the two men was on the morning of Sunday 31 August as they prepared to leave their hotel for the airport. According to GNRD, after checking out, they chose to remain in the reception because they felt too unsafe to leave the hotel premises. GNRD demanded a response from Qatar, but authorities will not talk to the group. 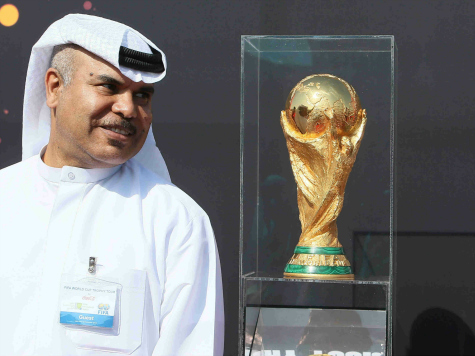 Human rights groups accused Qatar of slave labor in preparation for the World Cup. The BBC said people are stranded in Qatar and workers only receive $0.85 a day.